When a project has concluded, it is often beneficial to perform an analysis of how the project execution occurred and what lessons were learned during the entire life-cycle of the project. As the old adage states, learning from one’s mistakes can be an invaluable way to ensure problems are not repeated and that ideas for improvement are leveraged in subsequent projects moving forward. Post-mortems are meant to be an interactive experience, where various individuals who were part of the project team or participated in the project in some way all contribute to the dialog that takes place. One of the most imperative aspects of post mortems is to vocalize that fact that these are not witch hunts. In many cases, if people are confronted with criticism in some of the areas they were responsible for during a project’s execution, the knee jerk reaction is to become defensive. So in summary, a post-mortem meeting is all about what ‘went right’ and what ‘went wrong’ with the project. When it comes to the logistics of an effective post-mortem meeting, it is important (as alluded to earlier), that the meeting does not turn into a blame game or a witch hunt. Calling out problems that occurred during the life cycle of a project is a means to an end, not a way to cast accusations. At the outset, this is something that needs to be emphasized to ensure all team members feel comfortable during the conversations that ensue. Assign a Moderator – The the most likely candidate is the project manager, but it might also be beneficial to assign a more impartial team member is desired. The function of the moderator is to ensure the meeting stays on track and that all team participants have had a chance to provide feedback. Schedule the Meeting Effectively – The point of a post-mortem is to ensure that everyone has a chance to participate. The best way to achieve this is to schedule it well in advance, thereby increasing the likelihood that everyone can attend. Use an Agenda – As with any meeting, it is important to have a detailed agenda in place. This will ensure the meeting stays on track and covers all pertinent topics. As a suggestion, since it is a project post-mortem, you could leverage knowledge areas and process groups as a baseline to cover the key aspects of the overall project. Outline the Meeting Purpose – Make sure all participants understand what the goal of the meeting actually is and provide definitions of terms as needed for anyone who may be unfamiliar with the concept of a post-mortem. Encourage Participation and Ask for Prep Work – A good way to ensure people have ideas in place for the meeting is to ask them to jot down key areas they feel warrant further discussion, as it pertains to how the project progressed. It is best to let them do this free form to ensure they use their own words to itemize their ideas. Those pieces of feedback can then be aligned against the portions of the project to which they are referencing. Assign Someone to Take Notes – This should be someone other than the moderator. If possible, try to assign two individuals to ensure any gaps that may occur in someone’s notes will be overlapped with those of the other individual. You can also divvy up the work and have different note takers for different parts of the meeting. To ensure you get the best bang for your buck in the meeting, try to focus on being as constructive as possible. One thing that can occur is that problems are discussed in too much detail, with everyone chiming in on a particular focus area. Once a problem has been identified, it should not be beaten to death. Note the problem, acknowledge its existence and move on to the next topic. Post-mortem meetings can often turn into festivals where everyone feels they need to provide feedback on the same problem, which can become redundant and take valuable time away from other topics. Additionally, try to focus on actual problems and avoid too much conjecture. Debates can often occur in a meeting of this nature as to perceived problems as opposed to actual ones. If a problem appears to be too abstract or not easy to pin down, it may not have been anything tangible and should not be debated to extremes. Try to focus on facts and not opinions. One good rule of thumb in a post-mortem is to start the meeting with things that went well with the project instead of immediately focusing on the ‘bad’. This has the two-pronged benefit of 1) starting the meeting with a little more levity and 2) giving assurance that the project had many successful attributes that should be recognized. One final note is that participants in the meeting should be encouraged to be introspective as well. Not in a negative fashion, but to just give honest assessments on some of their own areas of work and how things might be improved. 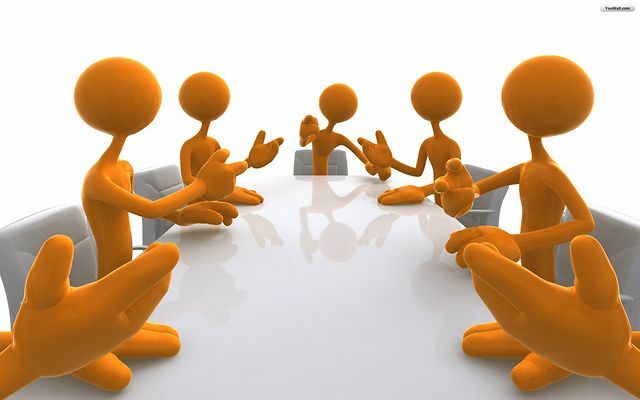 This aspect of the meeting can be entirely voluntary, but if the moderator and a few others break the ice, it can be another beneficial aspect to the overall meeting outcome. Post-mortem meetings are an effective means to get a good feel of how a project performed during its life-cycle. The results of a good meeting are not only beneficial to future projects that may occur, but also to the team members as they get a better feel for how things might be improved moving forward. The recommendations that are the primary output of the meeting will go a long way towards process and implementation improvements for subsequent projects in the pipeline. Versatile Program/Development Manager with 20 years of diverse background and experience in managing, defining, designing, developing and evangelizing advanced software applications that exceed customer expectations Current responsibilities include: - Coordinating and monitoring the scheduling and technical performance of company programs - Preparation of proposals, plans, specifications, and finalized requirements of various projects - Researching new opportunities and technologies - Ensuring adherence to master plans and schedules - Developing solutions to program problems - Directing work of incumbents assigned to program from various departments while also ensuring projects are completed on time and within budget - Acting as adviser to program teams regarding projects, tasks, and operations. Reblogged this on Aquamosh's Blog. Great explanation on the meeting process. Thanks – you have made my day. What an excellent brief. Thanks a lot for the enlightenment. I was just on my way to conduct a postmortem of a very challenging festival,and things were not going to be rosy. After referring to your article, nerves were very settled, and it all turned out to be a great meeting after all.